We appreciate your feedback about your support experience with SkyVerge, developers of Shipwire. This helps us maintain high standards on the WooMarketplace, and helps SkyVerge improve. Automatically receive email if an order fails to export or encounters an issue that prevents it from being shipped. There’s no need for UPS or FedEx extensions with Shipwire; simply enable the built-in shipping method and your customers will see real-time shipping rates. You can enable the optional delivery estimates to show customers when their shipment might arrive. Selling expensive items that require tracking? No problem, you can require shipping rates to have tracking and/or delivery confirmation included. 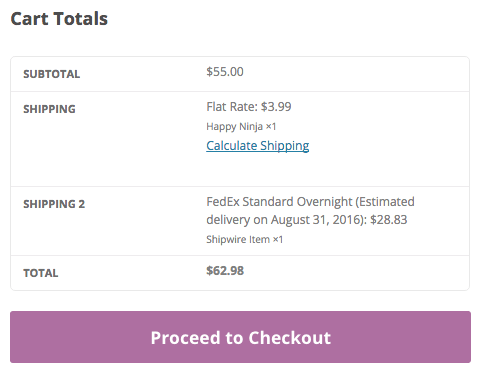 Since split-orders are supported, if the cart contains some products managed by Shipwire, the real-time rates will be used for that shipment, and your WooCommerce rates will be used for shipments of non-managed items. Orders can be automatically exported to Shipwire as soon as payment is received, or you can manually export orders with a single click. 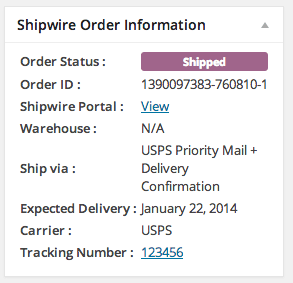 A separate Shipwire order status is assigned to each order to help you manage your fulfillment process, and bulk order actions are available to export multiple orders at once. 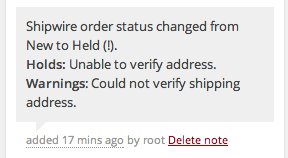 If an order has a problem (an invalid address, for example), you can check the order notes to see exactly went wrong. 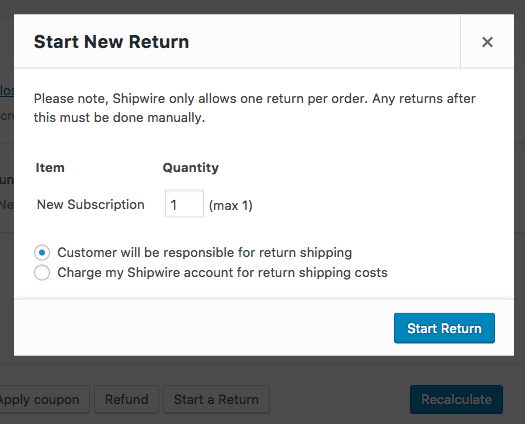 You can even sync returned items back to Shipwire if you need to process a return for a customer from within your WooCommerce dashboard. Product inventory is automatically updated when new inventory is added to Shipwre so you always have the most up-to-date stock amounts. Just received new inventory in Shipwire? No problem — it should be updated on your site right away. You can also update inventory for a single product or all products at any time with just one click and a recurring schedule periodically checks for any updates there have been missed. 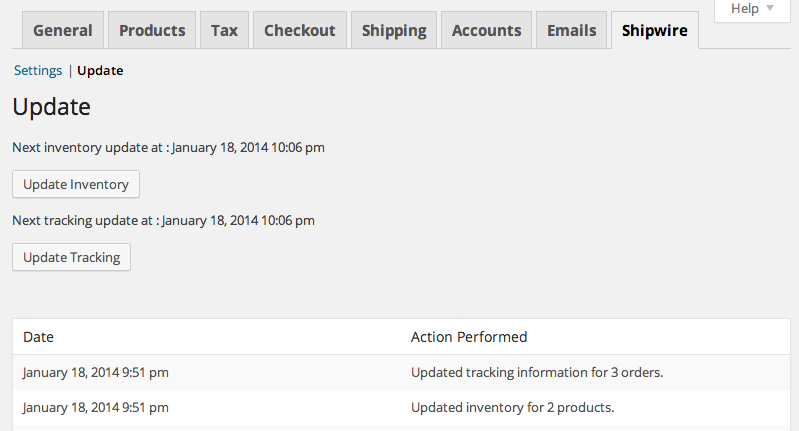 Tracking information for orders is also automatically updated, and checked as a backup on a recurring basis. 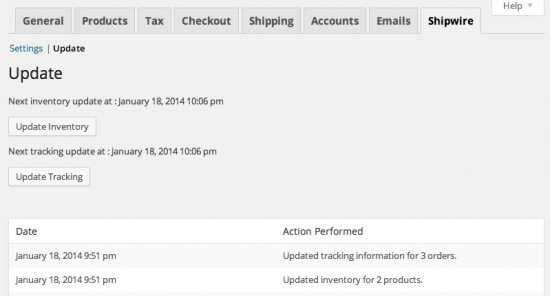 Shipped orders can be completed automatically to streamline fulfillment workflows. Easily see the tracking information for an individual order and find out when the estimated delivery is. Follow the steps below to get your WooCommerce store integrated with Shipwire. It’s fast and easy. There’s comprehensive documentation available to walk you through the setup process and explain all the different settings. Still have questions? Just submit a support ticket and our WooNinjas will gladly help. That’s it! Sit back and enjoy automated shipping and inventory management!